Behold our most recent and whimsical cue stand figure of all. This kindly Gentleman's Gentleman is at your service providing lifelike professional companionship. Made of hand painted resin on a wooden base, this incredibly detailed handsome valet stands a full 70" tall. 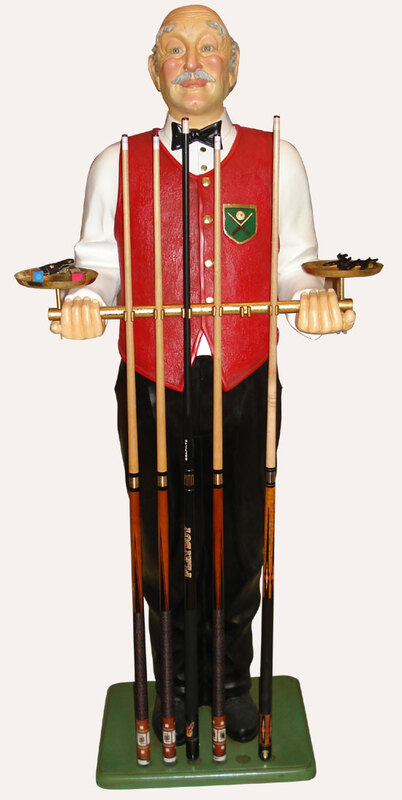 He holds six pool cues and two accessory trays on a antique gold flaked bar. His stunning eyes and comforting facial expression are attention grabbing. 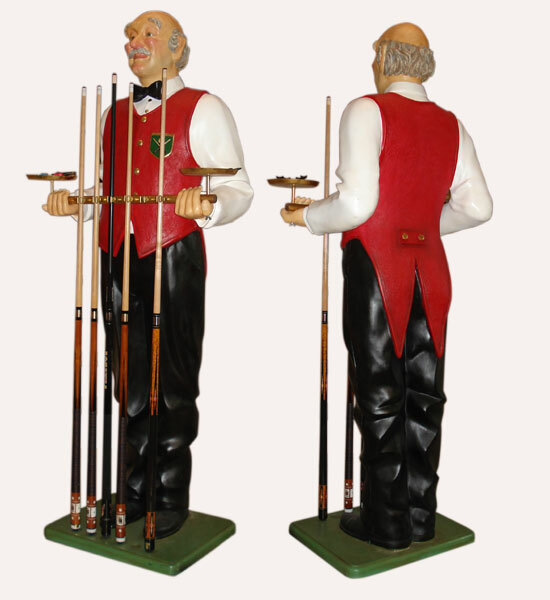 Nattily attired, he will gracefully adorn and be the centerpiece of your billiard game room. *Shipping charges are for either a local terminal pickup or delivery to a business address in a business district. Residential surcharge of $50 applies where available.